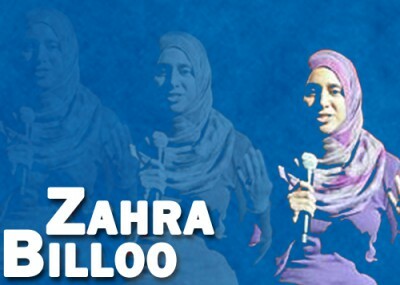 Zahra Billoo may be one of the more refreshing new faces among Council on American-Islamic Relations (CAIR) officials. Rather than following her organization's habit of engaging in doublespeak, she speaks in plain, and often hyperbolic and conspiracy-minded language. For that, she is the subject of the Investigative Project on Terrorism's latest profile. Billoo, executive director of CAIR's San Francisco office, recently describing herself on Twitter as an "American, Pakistani, litigious, feminist, hippie, anarchist, outspoken, rebellious, socially conscious Muslimah." "What do Saddam Hussein, Osama Bin Laden and Muammar Gaddafi all have in common? They were funded by the US," she wrote in June. She didn't mention that her bosses at CAIR solicited money from Gaddafi in 2009. Another June Twitter post also criticized U.S. troops, claiming they are terrorists. "And to be clear, I would argue that many of our troops are engaged in terrorism," she wrote. As an organization, CAIR claims to be a friend to law enforcement, but its workshops often sow the seeds of paranoia, and the group reflexively condemns most counter-terrorism prosecutions. Billoo skips the niceties, publishing a flyer on her chapter's website advising Muslims to "build a wall of resistance" by not talking to the FBI. When arrests are made with the help of an informant, she jumps to cast doubt on the case's validity. When a Portland Muslim was arrested after he tried to detonate what he thought was a bomb at a Christmas-tree lighting ceremony with children present, Billoo told a local television the whole thing may have been a publicity stunt. "The question is, are we looking to stop radicalization and stop extremism before it becomes a problem or do we want a sensational story?" Billoo asked. "And I'd really argue here that the FBI was looking for a sensational story." 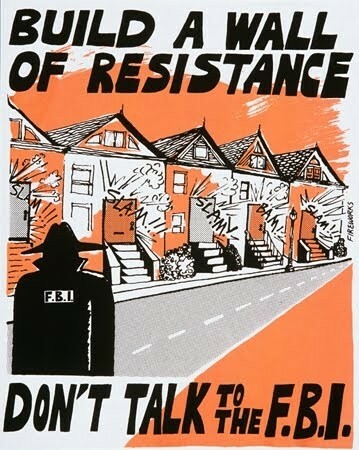 When agents in Tampa arrested a man for plotting terrorist attacks, Billoo posted a Twitter comment wondering "how much of the thwarted terror plot in Florida was seeded by the FBI, [a]ppreciating that even the MSM mentioned the informants." In this context, Billoo represents a new generation of radical CAIR leaders who are hostile toward law enforcement. The FBI broke off outreach communication with the group in 2008 after evidence agents seized in a terror-financing investigation placed CAIR and its founders in the middle of a Hamas-support network in the United States. Billoo's boss, CAIR Executive Director Nihad Awad, participated in that network and is listed in its internal documents. A senior FBI official wrote that "until we can resolve whether there continues to be a connection between CAIR or its executives and HAMAS, the FBI does not view CAIR as an appropriate liaison partner." Billoo stuck by CAIR's message about the case which brought this evidence into public light – the prosecution of the Holy Land Foundation for Relief and Development and five of its former officials. When the Fifth Circuit Court of Appeals upheld the sweeping convictions in the case, Billoo rejected both the judges' and the jury's decisions. "Our [IN]justice system continues to fail us. BREAKING: 5th Circuit: Holy Land Foundation convictions upheld on appeal," she wrote. Billoo wasn't with CAIR during the time HLF operated. She joined the organization in 2009 after graduating from the University of California's Hastings College of Law. She served as the adviser to the Muslim Students Association (MSA) West region from 2005-2010. The MSA was created by Muslim Brotherhood members in the United States. Many of its leaders have gone on to commit terror-related crimes, and MSA events often include extreme rhetoric. During the time Billoo served as an adviser, MSA West hosted a number of speakers who promoted radical ideas and groups. At the 2005 MSA West conference, speaker Ahmed Shama made MSA's goals clear. "We want to restore Islam to the leadership of society," he said. "We are trying to establish that system of government, of Islamic governance, and to the helm of life in all walks of life. In short, we want to make the world of Allah supreme in every single aspect of life… The end goal of everything that we're talking about is the reestablishment of the Islamic form of government." He also said that MSAs have "an obligation to make sure that our MSAs are part of the global Islamic Movement." War in Iraq or Afghanistan or Osama bin Laden or Saddam Hussein. Don't ever compromise on Islam! And don't ever compromise on your Muslim brothers and sisters in which you have no evidence. Osama bin Laden- I don't know this guy. I don't know what he did. I don't know what he said. I don't know what happened. But we defend Muslim brothers and we defend our Muslim sisters to the end. Is that clear? I am not saying support terrorist acts. I am not saying any of that. I am saying generally speaking. If a man comes and robs a store – if you're going to rob the store, go ahead and rob the store, are we going to condemn him? No, you support your Muslim brothers whether it is right or wrong. When they do wrong you grab them and you slap some sense into them, you're doing wrong. You see what I am saying. Despite her record, Billoo is embraced by a surprising number of elected officials. U.S. Rep. Mike Honda, D-Cal., spoke alongside Billoo at a Japanese Internment Camp Remembrance Day event in 2012. Honda also spoke alongside Billoo at a 2011 event titled, "Unheard Voices of 9/11." In March, Billoo was among a delegation of CAIR officials on a lobbying trip to Capitol Hill. Billoo met with 11 different congressional offices, asking that they repeal provisions on indefinite detention in the National Defense Authorization Act of 2012 and that the representatives join in sponsoring the End Racial Profiling Act of 2011, among other issues. Billoo, meanwhile, is routinely critical of the Obama administration for not changing counter terrorism policies to her liking. "They've [Obama administration] been great in terms of condemning Islamophobia and combating anti-Muslim bigotry," she told a reporter. "Unfortunately, that's where I think a lot of the good work ends." She encourages the Muslim community to demand more. "Are we so afraid of not being invited to the White House iftar [Ramadan fast-breaking meal] that we campaign and vote for Obama without seeking anything in return?," she wrote in a June 15 Twitter post. Read our full profile on Zahra Billoo here. Upon seeing her name, my initial reaction was to nickname her "Sara Bimbo," but as I read further into the article, I was inclined to call her the "Bilious Muslimah," the term muslimah being Arabic for a devout Muslim woman who covers her face and hands in public. One must question the IQ or mental health of anyone who manages to graduate from a law school and then regularly "tweets" patter and chatter in the best niqaabi tradition – that is, hiding the truth as she lies about the future and the past. Notice how "hip" and "with it" she labors to sound, hiding the face and hand of her employer, CAIR, behind a hipster line of taqiyya.